You may recall a certain beer TV commercial (see below) that went to air a number of years ago. Man cave or man sanctuary, rumpus room or pool room – call it what you like – this conjoined garage inspired thousands of blokes across Australia. Every man dreams of having his own place in the home to do as they please (at least in the decorative sense). So to coincide with the early rounds of the AFL and NRL footy seasons this year, this week our Hubbies are offering their thoughts on five must-have features in the ideal Aussie men’s den. What’s a men’s den without a place to store your collection of limited edition scotches or prized beer glasses? 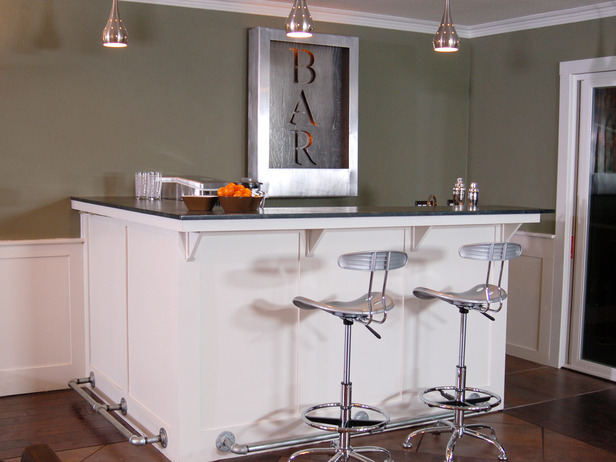 Whether you want an all-in-one bar and cabinet, or a shelf unit fixed to the wall and a stand-alone bar, there are a number of materials and designs to choose from. Ask your local Hubby about what design would work well in your room. 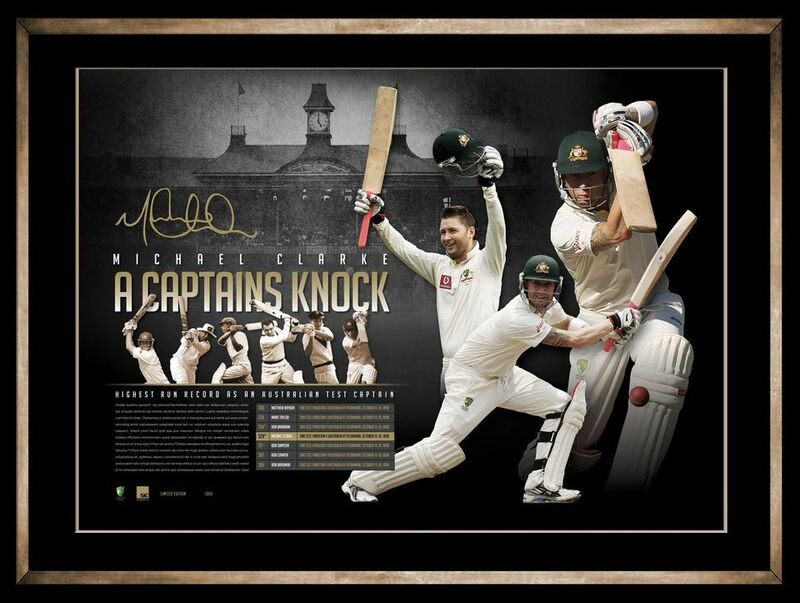 No man cave is complete without somewhere to display your montage of sporting memorabilia, photographs and the signed jersey from your favourite sporting team. This is the ‘feature wall’ of the room, so choose a wall that would make Don Bradman proud. You might cop a bit of flak from your mates, but you didn’t win your under 16s grand final for no reason. Your man cave needs a cabinet or shelving system for your trophies to adorn. This is also the spot to store all your other items such as model cars, collectables and autobiographies. 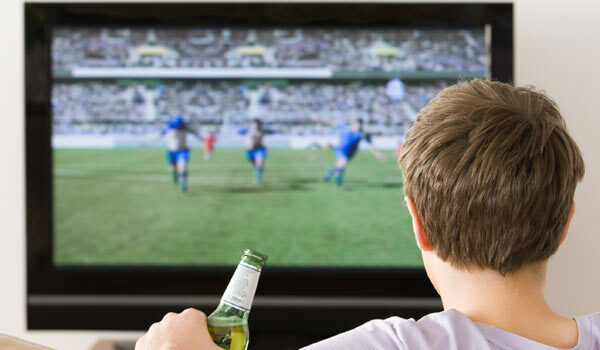 A man cave is a proud reflection of your inner bloke, so bring the footy game to life with the biggest TV you can find. Ask your local Hire A Hubby about building a bespoke timber cabinet, or the best way to fix it to the wall if you’re tight on space. 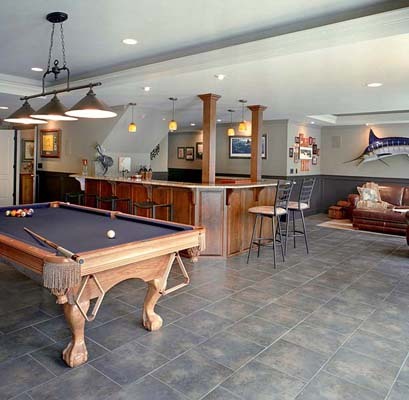 Ask your local Hire A Hubby about the best lighting for the room so you can undertake all mandatory man cave activities from watching football and movies through to playing billiards. Whether you want to create a man cave for yourself, or you’re doing it for your husband or partner, give your local Hire A Hubby a call for advice and an obligation free quote on the best way to go about it. Call 1800 803 339 or visit the website www.hireahubby.com.au. Ready to give the house some TLC this summer, but not sure where to start? Whether you want to get the house ready for hosting family and friends at Christmas or you’re using the summer break to get those lingering jobs around the home done, it’s sometimes hard knowing where to start. This week our Hubbies discuss six common summer maintenance jobs to help bring your home up to scratch. As the year goes by, the deck collects things you haven’t had time to clear up or pack away. Use the time now to really get stuck into the deck – clearing clutter and giving it life with decking oil – as this will be a central entertaining spot over summer. Give your local Hubby a call about a professional clean and polish. This will give your deck an instant ‘new’ and ‘fresh’ appearance. He can also repair any loose or damaged floor boards. 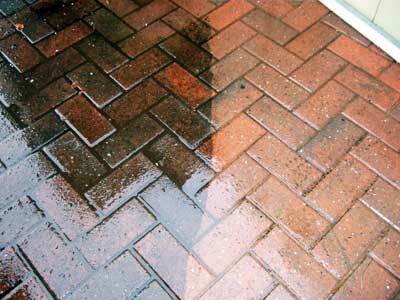 By pressure cleaning windows and walls outside the house, external surfaces will be restored and your home will look close to brand new again. The same applies to driveways and footpaths. With more time spent in the backyard throughout summer, it’s also important to keep your lawn maintained. It’s also snake season, so unruly backyards should be tamed, and free of weeds. Is the paint starting to peel from your walls, or is the colour of your home looking a bit dull? Avoid getting your hands dirty and have your local Hubby come over to brighten walls inside the house that need a bit of attention. Research last year showed that many Aussies left little jobs like fixing the fly screen or a broken towel rack for up to a year to complete. Not to worry if you don’t have the time or skills to fix these nagging jobs, just ask your local Hubby for help. To have a chat with your local property maintenance expert, call 1800 803 339 or visit the website www.hireahubby.com.au. We’re half way through the first month of winter and hopefully it’s been a safe one for everyone. 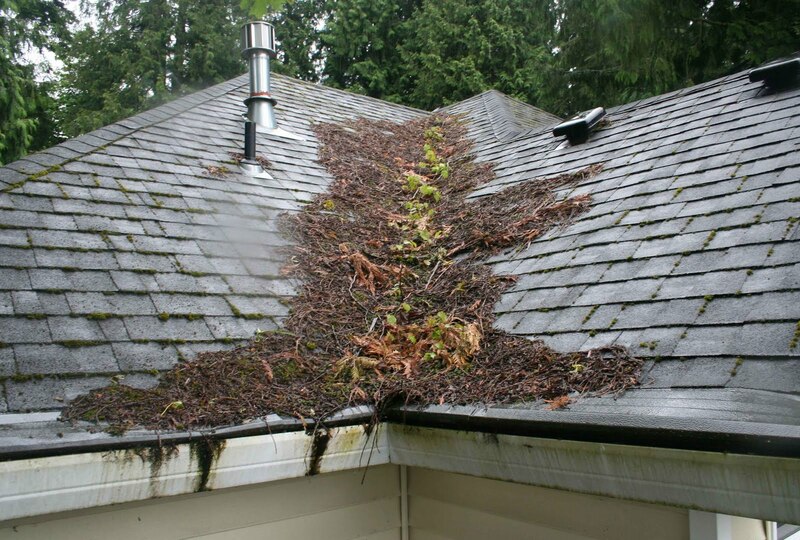 While it isn’t known for its storms, the ghastly winds that come with winter can rip through loose or damaged roof materials and unkempt branches can fall and damage your property. Prune any tree branches well clear of your house and garden fence. Ensure loose objects in your yard, such as garden furniture, are secured so they can’t be blown around. Check your roof is in good repair. Ensure roof tiles are in place and replace any broken or loose tiles. Clear out gutters and downpipes. Park your car in the garage or carport. If you don’t have a garage, park your car away from any trees that could fall down and damage it. By taking preventative measures now, you will ensure you’re not faced with costly repair bills in the future. Need a hand getting your property up to scratch? Give one of Hire A Hubby’s property maintenance experts a call on 1800 803 339. Welcome to the Hire a Hubby blog! HANDYMAN HELP HAS ARRIVED!Hire A Hubby, Australia’s leading handyman service can help attend to all of those jobs around your home, office or business.Our handymen are accredited, security checked and fully insured, so you can rest assured we can handle almost any task you can throw at us. Hire A Hubby offers No Interest Ever! * payment plans! If you need a job done today – ask us how you can take advantage of the Hire A Hubby Ezi-Pay Express!